A few ideas for the fam......mum and MIL I'm directing this at you! ;0) All things accessories! 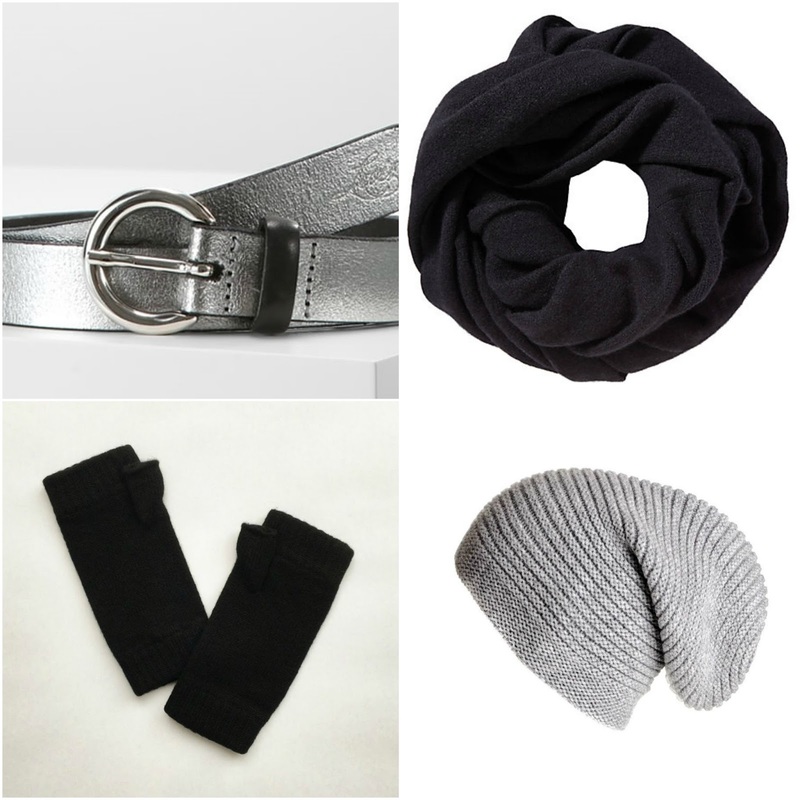 John Lewis cashmere snood | I like my neck to feel hugged by a scarf! Black.co.uk | same as above.....only I have the black and now I want the grey! A few other random bits that spring to mind! It is all about knowing my style I think these pieces just about sum it up! 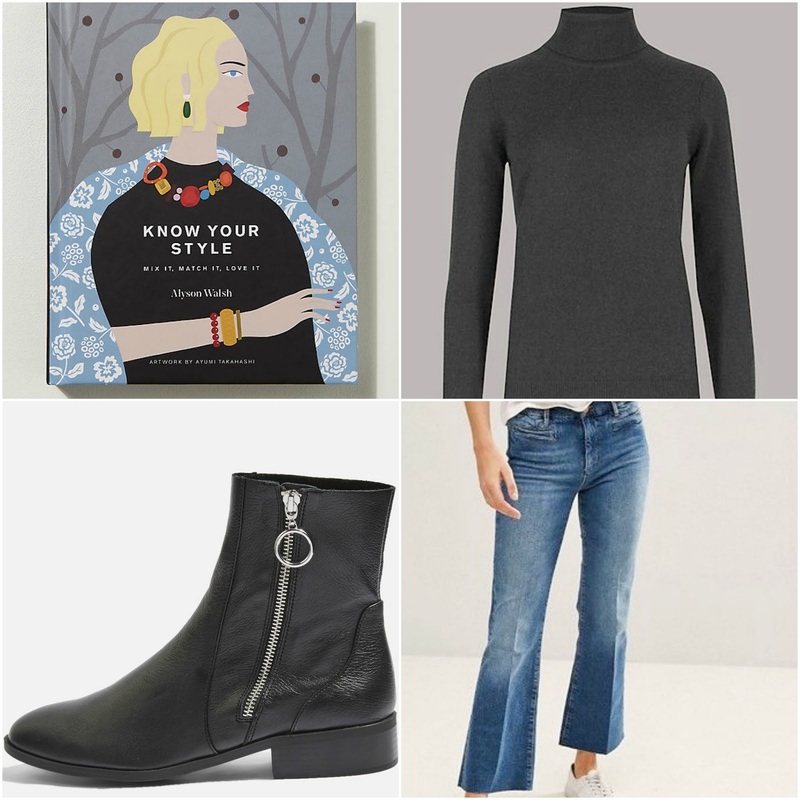 Know Your Style book by Alyson Walsh | I need some stylish reading fodder! Topshop Kick boots | These appeal as they look functional (I'm thinking dog walking) yet on trend! M.i.h cropped Marrakesh jeans | Because I've fallen in love with this brand....I need all the styles! 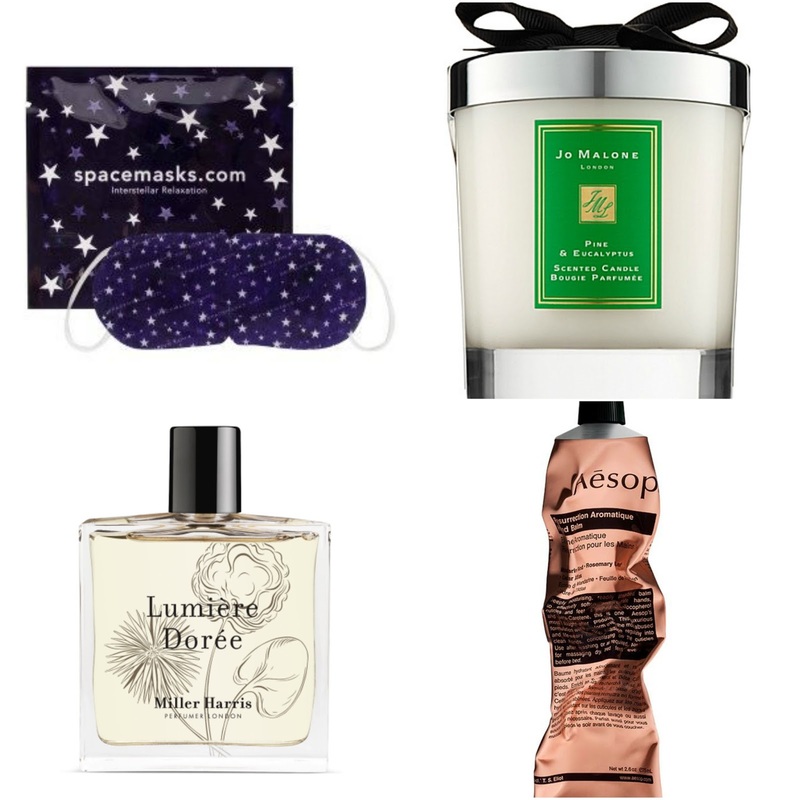 I don't expect to get all of this.....though that would be lovely! It's just for a few ideas if anyone shopping need a helping hand! What's on your list? I'd love to hear! Now onto a mammoth outfit round-up. I'm finding it hard to fit in everything.....sounding familiar......well it is that time of year! Anyway, as well as having a new pup we are also currently undertaking some work at home (bathroom and ensuite just for starters....hopefully done in time for Christmas!) so apologies I've been absent but here goes! I do have a little confession to make....since I started this post I have actually broken out one of my Christmas pressies already! I went to a Topshop Friends's and Family discount event last night and bagged the Kick boots featured above with 20% off! Since there is an everyday black boot missing from shoe collection I couldn't help but wear them straightaway, They are the perfect choice of footwear with my outfit today. I figure since it's me that does the lion's share of the festive shopping and wrapping I deserve a little treat! Any confessions you want to make???? It's around this time I start to review my hit & miss purchases of the season.....to prepare myself for the sales. So my aim is to bring that to you next time. Hope that your Christmas shopping is going well!